This Interlayer appears in different colors when viewing at various angles. It uses an attractive, eye-catching material with unique presentation that will enhance your building facades and interior applications. 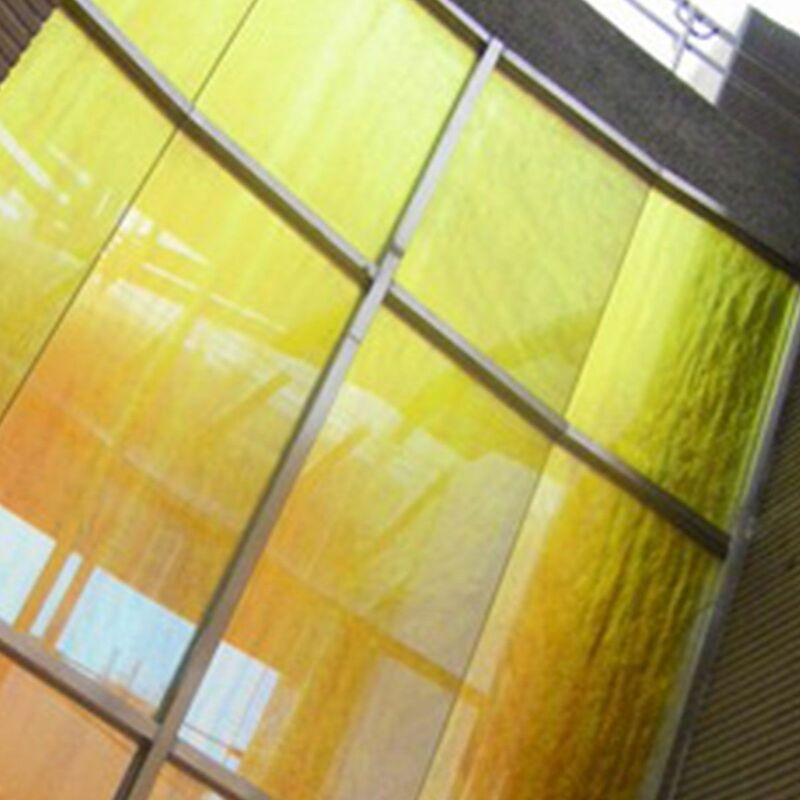 As one-sided glass, the exterior reflects the sun light in orange, gold, copper, and yellow colors. From the interior, you can see through it and the glass is blue, green, and purple in color..